Image by tjevans via Pixabay is licensed under CC0. The topic of academic misconduct in higher education has received a lot of attention over the past few decades, and the general findings have been troubling. Although it is still not clear whether academic misconduct has been rising or not, most studies have found that the rate of such behavior is quite high. Researchers have also found that the problem is not unique to a single country. Studies conducted in Pakistan, the U.S., Portugal, Egypt, and China have all uncovered significant amounts of cheating. Given that there is reason to believe that academic misconduct at university level is a predictor of unethical behavior in the workplace (Smith, Davy, & Easterling, 2004), and even a predictor of a country’s level of corruption (Teixeira, 2013), understanding the factors that lead to such behavior is of great importance. These factors fall under two broad categories, individual and contextual. Individual factors include both variables that are a result of birth and variables that are a result of development. One such factor is biological gender. There is strong evidence that suggests that females are less likely than males to engage in academic misconduct (Chesnut, Barnard-Brak, & Schmidt, 2014). However, there are some studies that failed to find any gender-related differences (Ma, McCabe, & Liu, 2013). Another widely-studied individual factor is grades, with the majority of studies finding that students with lower GPAs tend to cheat more than students with higher GPAs (Klein et al., 2007). Marital status has also been found to be a predictor, with some studies finding that married students cheat less than single students (Whitely, 1998). While traditionally most research tended to focus on individual factors, more recent studies have started paying attention to environmental, or situational, factors. In fact, studies have shown that situational factors are better at explaining cheating behavior than individual factors (McCabe, Trevino, & Butterfield, 2001). Of particular importance are peer-related factors, with studies finding that students who perceive that their colleagues are cheating on their exams are much more likely to engage in cheating themselves (Jensen et al., 2002). Of particular interest to me was the finding that business students engaged in higher levels of cheating than students from other colleges. Unfortunately, this finding is not surprising. In a seminal article, Ghoshal (2005) argued that the material taught in business schools was actually destructive. According to him, business schools have excluded any role of human intentionality, and that they have denied any moral or ethical considerations in the theories. The ultimate job of the manager, as taught in business schools, is to create value for the shareholder, with no importance placed on employees and the community except in the extent to which they affect the bottom line. This type of profit at any cost culture would ultimately promote unethical behavior in order to accomplish short-term goals. Another flag-raising finding was that students in the Middle East engaged in higher levels of cheating when compared to students from other countries (Williams at al., 2014). Given that I teach in a business school in the Middle East, I decided to conduct a study to measure the extent of academic misconduct and the factors that lead to such behavior. My colleague Carla and I collected data from three private universities in Lebanon. Surveys were distributed to students in the business and engineering schools of each of the universities. Students were asked a variety of questions in order to measure their perception, attitude, and behavior when it comes to academic misconduct. In order to be able to compare our results with the results obtained in other countries, we asked students the same questions that were asked in a previous study that was conducted in the U.S. (Chapman et al., 2004). Our results indicate that the level of academic misconduct in the three universities (two of which are ranked as the top two in the country) is alarming. Our findings support previous findings that students in the Middle East engage in cheating more than students in the U.S. We also found that students tended to perceive that other students cheat more than them, that students were more willing to cheat with their friends than with students whom they do not know, and that an extremely small percentage of students will report cheating if they witness it. Our results also indicate that male students cheat more than female students, and students with low GPAs cheat more than students with high GPAs. Unlike previous studies, we found no difference between students in the engineering school and students in the business school. 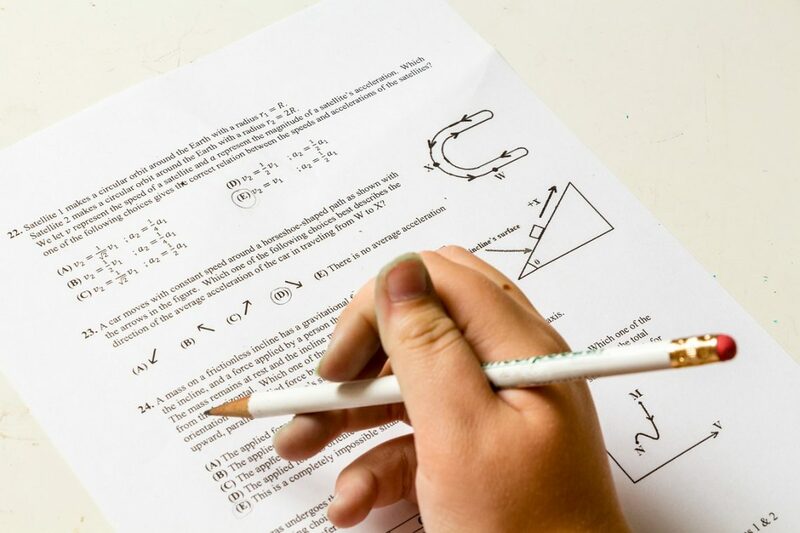 Students from both colleges cheated at an alarming rate. We also found that students who perceived high levels of cheating on behalf of their colleagues tended to cheat more even when they believed that cheating was ethically wrong. These findings are described in the article entitled A Study of Cheating Beliefs, Engagement, and Perception – The Case of Business and Engineering Students, recently published in the Journal of Academic Ethics (Journal of Academic Ethics (2019)). This work was conducted by Carla M. Ghanem and Najib A. Mozahem from Rafik Hariri University. Read the full version of the article here. Previous Post« Previous Pondering The Enormity Of The Universe: Opportunity For Self-Transcendence Or An Existential Threat?